PTMSC Blog : Today is the Day! Take action for kids! 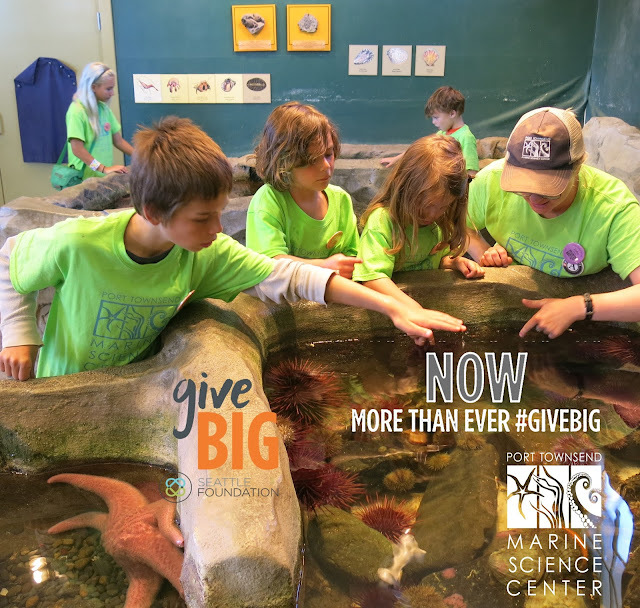 Today is the big day for you to GiveBIG! Thank you for taking action in support of summer camps by helping us raise $22,000 Today! Now more than ever nonprofit causes need your help. At the Marine Science Center, we are dedicated to getting kids outside this summer to make memories that last a lifetime. Your gift will provide scholarships for children who otherwise would not be able to attend because of financial hardship. Donations will also fund the capacity of the Center to offer more camps. Plans are in the works for expanded facilities and more camp offerings. But we need your help! The GiveBIG campaign ends tonight at midnight so GiveBig Now! Keep following along on Facebook and the PTMSC blog for stories and updates.